The military-to-civilian recruiting firm RecruitMilitary will present a free hiring event for job seekers who have military backgrounds in the St. Louis area on Thursday, June 4. This event, the RecruitMilitary Career Fair, will take place from 11 a.m. until 3 p.m. at Harrah's St. Louis Casino & Hotel Conference Center in Maryland Heights, Missouri. RecruitMilitary urges all job seekers who have military backgrounds to attend--veterans who already have civilian work experience, men and women who are transitioning from active duty to civilian life, members of the National Guard and reserves, and military spouses. The event will be the 30th of more than 65 RecruitMilitary Career Fairs scheduled for 2009. An all-star team of veteran-friendly organizations will conduct one-on-one interviews with the job seekers--organizations that will include corporate employers, law-enforcement agencies and other government employers, franchisors, educational institutions, veterans service agencies, and veterans associations. Already in the line-up are AAIM Management Association, American College of Technology, AXA Equitable, Barnes Jewish Hospital, DeVry University, DRS Technologies, Harrah's, the Internal Revenue Service (IRS), ITT Educational Services, Mckendree University, Northrop Grumman, Schlumberger, Scottrade, the St. Louis Police Department, St. Louis VA Medical Center, Wackenhut Corporation, and Walgreens. RecruitMilitary will produce the career fair in cooperation with The American Legion; HireVetsFirst, a unit of the United States Department of Labor; and the Military Spouse Corporate Career Network (MSCCN). 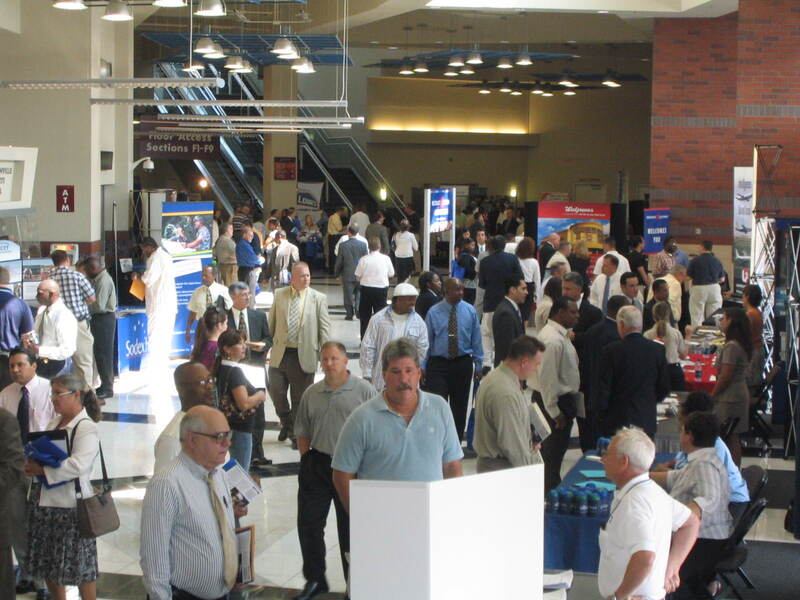 More than 1,275 organizations attended 147 RecruitMilitary Career Fairs in 2007 and 2008. Those events generated television coverage by ABC, CBS, NBC, and FOX affiliates as well as local independent channels; articles in major metropolitan and local newspapers as well as The Wall Street Journal; and extensive radio coverage, including remote live broadcasts from events. The American Legion is an association of veterans who served during times of war. The Legion has 2.7 million members in nearly 15,000 posts throughout the world. The National Commander of The American Legion is Dave Rehbein, an Army veteran, of Ames, Iowa. The Commander of the Department of Missouri is Victor Stragliati. Congress chartered The American Legion in 1919. HireVetsFirst was created by Congress in 2002 to develop awareness among employers of the outstanding attributes of men and women who are transitioning from active duty to civilian life. The Military Spouse Corporate Career Network was founded in 2004 to provide career opportunities and job portability for military spouses. The organization is made up of military spouses, caregivers to war wounded, and retired military personnel. RecruitMilitary, based in Cincinnati, connects employers, franchisors, and educational institutions with job seekers who have military backgrounds. All of the company's owners, account executives, and retained search consultants are either veterans or active or former reservists. The founder and president of RecruitMilitary is Drew Myers, formerly a Captain in the United States Marine Corps. Myers founded the company in 1998. In August 2008, RecruitMilitary acquired Landmark Destiny Group (LDG), a military-to-civilian recruiting firm based in Norfolk, Virginia. 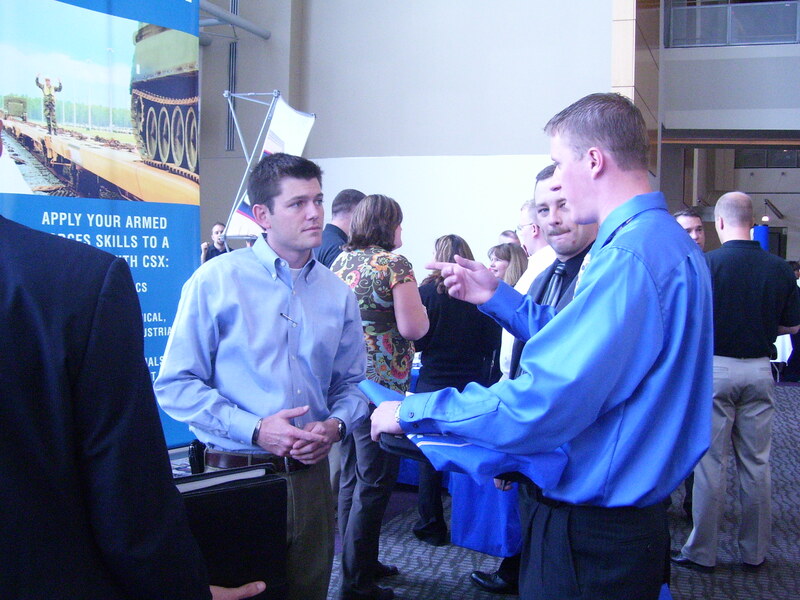 RecruitMilitary has produced career fairs since 2006. The company also offers subscriptions to its database of more than 500,000 registered candidates who have military backgrounds at http://www.recruitmilitary.com, retained hiring services, and advertising space in online and print media. The company obtained Search & Employ, a bimonthly print magazine, in the LDG acquisition. RecruitMilitary distributes more than 36,000 copies of each issue to over 220 military bases throughout the world, National Guard and reserve units, and job seekers who attend RecruitMilitary Career Fairs. Employers, franchisors, and educational institutions advertise in Search & Employ.